The magician shows his hands clearly empty. 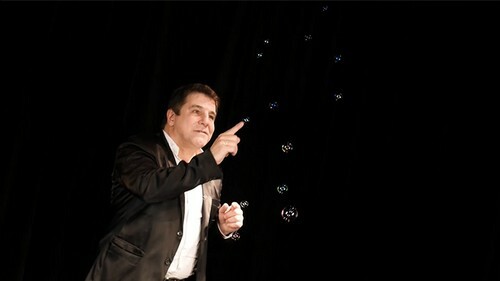 He blows and immediately produces a shower of soap bubbles from his hands. You can repeat it again several times, always showing your hands empty. 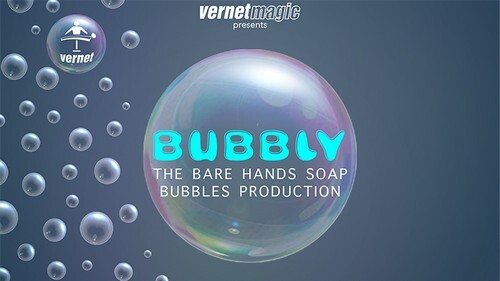 You receive a specially made gimmick No sleeves required Do it anywhere, anytime Includes a video download with full performance and step-by-step explanation Soap bubble solution not provided A true miracle by the great Sonny Fontana.